Drizzle the vegetables with olive oil and toss to lightly coat. Season with salt and pepper. Arrange in a single layer on two baking sheets. Put the denser vegetables like beets, carrots, and squash, on one sheet because you will want to cook them a little longer than the others. Arrange the rest on the second baking sheet. Sprinkle all with crushed red pepper flakes and oregano. Roast for about 30-40 minutes, rearranging or flipping the vegetables once or twice during cooking. Remove when the veggies are tender but not mushy. 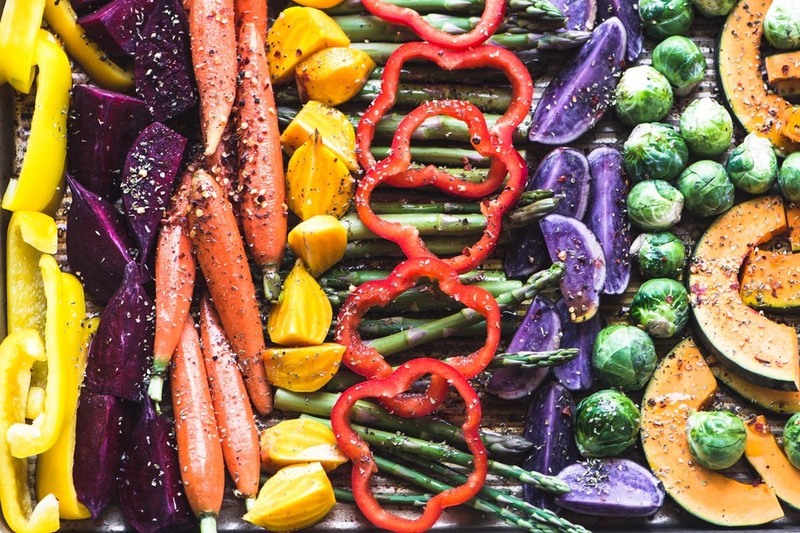 Note: if you want more browning on the vegetables, place them under the broiler for the last couple of minutes, but watch them carefully so they don't burn.